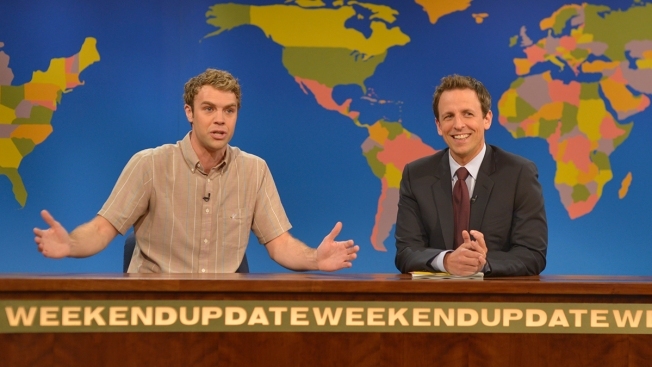 Brooks Wheelan Fired From "Saturday Night Live"
Brooks Wheelan and Seth Meyers on "SNL"'s Weekend Update. "Saturday Night Live" is shaking up its cast for its landmark 40th season. Brooks Wheelan, who joined the show before season 39 premiered, tweeted that he's been let go from the NBC series. "Had a blast and loved every second of it. I'm totally honored to be able to make this next joke...FIRED FROM NEW YORK IT'S SATURDAY NIGHT!" he tweeted. A source confirmed to E! News that Wheelan will not be returning and stressed that casting changes are normal. Wheelan was one of several new cast members to join the long-running Saturday night staple. He joined the series alongside Beck Bennett, Noel Wells, Kyle Mooney, Mike O'Brien and John Milhiser. Sasheer Zamata joined midseason. Earlier this summer Nasim Pedrad hinted that she was also leaving the series after five seasons. She'll costar opposite former "SNL" writer John Mulaney on Fox's Mulaney. "SNL" underwent another big change during season 39 when Seth Meyers exited to host "Late Night." 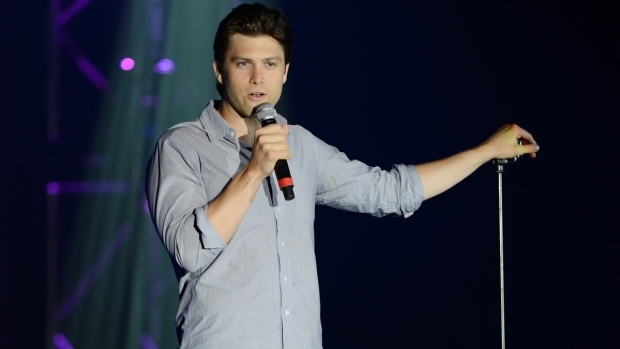 Colin Jost took over Weekend Update duties alongside Cecily Strong. "Saturday Night Live" picked up quite a few Emmy nominations for the 2014 ceremony. Kate McKinnon was nominated for Supporting Actress in a Comedy Series. McKinnon and costar Aidy Bryant, along with Chris Kelly, Sarah Schneider and Eli Brueggemann were nominated for Outstanding Original Music and Lyrics for the viral hit "(Do It On My) Twin Bed." Jimmy Fallon, Louis C.K., Tina Fey and Melissa McCarthy all got nominations for hosting the series as well.